Rachel Connors loved her life, and her job as a manager at a ski resort in Aspen Colorado, but after learning she was ill, she decided to take a long needed vacation to her parent’s home. This was when she met Kyle Landers, who in her absence had moved into her parent’s lives, and before he’d even met Rachel, Kyle had decided not to like her. Kyle had been alone in the world when Rachel’s parents had taken him in; and he couldn’t understand why their ungrateful daughter had chosen to distance herself from them. Rachel and Kyle grew closer, and she knew she was falling for him. Everything changed when Rachel was scheduled to meet Kyle, but a call from her doctor summoned her back to Aspen, telling her parents there was a problem at work. When Kyle hears of this, he boards a plane to find her, learning the truth of her condition. Their love blossomed but it was to be short lived when on their flight back to the ranch the plane crashed. Despite an extensive search, Kyle was never found, and Rachel was forced to go on without him. Four years had passed, and Rachel’s relationship with Marcus, her new boyfriend, was moving to a different level, but at the same time, the thought dead Kyle had come out of his coma; his mind lost in the events four years earlier. After Rachel accepted Marcus’ proposal, Kyle returns, leaving Rachel with a dilemma. For four years Marcus had been by her side, but now Kyle was back, wanting her just as much as he had the day of the crash. She needed to get away to make her decision, so she left for Aspen, only Kyle followed her to try to convince her that they belonged together. Who will Rachel Chose? Is Kyle’s love enough to bring her back to him? The snow was coming down hard, quickly blanketing the ground as it fell. Rachel Connors sat on her window sill, watching it fall. The tears rolled down her face, as the thought of going back home haunted her. She hadn’t seen her parents in five years, and wasn’t completely positive she was making the right decision in going back now. She needed to be near family now more than ever. Rachel decided to keep her medical problems to herself. There was no sense in making her parents worry about her. She would tell them nothing. The sound of the cab’s horn jarred her out of her thoughts. She wiped the tears away and grabbed her bags. She would be staying with her parents until after the holidays. The doctors didn’t need to see her until the new year. How am I supposed to forget everything and enjoy a vacation at a time like this? Rachel sat in the back seat of the cab as it headed to the airport. It would be a long plane ride from Colorado to her parents’ ranch in Tennessee, an hour and a half outside of Nashville. It was always beautiful there. They always teased her growing up about being a singer, but she never had any interest in singing. She always wanted to be a talent agent. She wanted to be the one who found the talent, which was exactly what she did. She was very successful at it, until she received a job offer to manage a friend’s ski resort in Aspen. It was a great escape from the harsh realities of the past, and she grew to love her new life. Rachel took a long nap on the plane. She had been under a lot of stress lately. It seemed like only minutes after her head hit the pillow that she heard the flight attendant say they were landing. She looked around and saw that they were coming onto the runway. She rubbed her eyes and stretched her arms before standing up. Kyle Landers waited for her in the terminal, holding up a sign for a woman he had never met. How do I get myself into situations like this? he thought as he started to pace back and forth. He couldn’t tell Sue and Tom that he wouldn’t go pick up their daughter for them even though he knew he wouldn’t like her. He couldn’t understand how she could stay gone as many years as she did knowing her parent’s missed her. Kyle would do anything for Sue and Tom. They took him in four years ago when he didn’t have anywhere else to go. He had no family and them gave him a job on the ranch. He looked back and forth for Rachel. He had seen many pictures of her over the years. Kyle decided he didn’t want to give some stuck up, too good to come home to her family, uptight woman a ride. He dropped the sign into the trash can and walked out. He would tell Sue and Tom the flight must have been delayed. He felt a little bad lying to them, but he knew that their daughter could use a good lesson on how you treat people. As she entered the terminal, Rachael looked for her ride. Her parents told her a man named Kyle would be picking her up. Not seeing him, she thought he might be outside, or in the luggage area. As she left, she saw a large cardboard sign lying in the trash can with her name on it. Where was he? Why didn’t he wait? The plane was right on time. Rachel didn’t know what to think. “Okay,” she said, as she glanced down at the ground. “Kyle. My name’s Kyle,” he said as he continued to drive. Rachel wasn’t sure if he was trying to be nice now or if he was just hungry. “That sounds good to me,” she said even though she was still angry at him for leaving her there. They drove for another thirty minutes in silence before turning into the parking lot of a small restaurant. Rachel had eaten at there before and remembered them having good food although she hadn’t been eating much of anything lately. She hoped the trip back home would take her mind off her problems, but not bring up bad memories in the process. They found a table in the back away from everyone. “Four years.” He said without adding anything more. “That’s great. My father really needed help after Bobby. . . . Well, never mind. I’m glad my father has you.” She took a sip of her soda trying to hold back the tears as she thought about her brother. “I’m sorry to hear that.” He felt bad for asking now. The food came and they ate in silence. When they were finished, they started back to the ranch. Neither of them spoke. Rachel couldn’t help but wonder why Kyle seemed to dislike her so much. How could he make a judgment so fast without even knowing her? She sat there staring out the window thinking about when she was younger. She remembered how her and Bobby would go on long walks exploring the entire ranch or taking the horses out across the range. He would run the horse like he was in a race that he had to win. She could remember staying back, watching him go. He feared nothing and embraced life to the fullest. Rachel could feel the tears starting again. She hadn’t been home in so long that she had buried the memories deep down. She always thought about Bobby during the holidays, but more so this year. Bobby would have handled the news from the doctors better than she did. Rachel wiped a tear from her eyes. Kyle glanced over at the saddest person he had ever seen. He was beginning to think maybe he misjudged her. Could she have good reasons for not coming around? Did it have something to do with Bobby? He knew that he didn’t know anything about her, but the same time he knew that he wanted to. “Is everything all right?” he asked. Rachel wiped her eyes and sat up straighter. “I’m fine. Just memories catching up,” she said with a little smile. Kyle could tell that she didn’t really want to talk about it and he wasn’t sure that he did either. “It’s not much further,” he said as he wished he could take the words back. Of course she knew it wasn’t much further. She grew up there. He always got flustered when he got nervous. He stared at the road, trying to focus on his driving. Rachel could see her parents’ house coming into view as she got more excited. She couldn’t wait to see her mom and dad. It had been a long time. They had visited her two years ago in Colorado, but she just couldn’t bear to come back home after Bobby died. She’d stuck around home for about a year after his death and then she had to get out of there. He was not only her brother but also her best friend. She didn’t know how to live without him. She knew that learning how to was one way she could remember him. The truck stopped and Rachel jumped out as fast as she could. She saw her mother standing on the porch with a smile on her face. Rachel ran to her and threw her arms around her. “I missed you,” she said to her mom. “I missed you too, baby. I’m glad you’re home, even if it’s only for the holidays,” Sue said, hugging her tighter. “Where’s Dad?” Rachel asked as she looked around. “It was fine. I don’t think Kyle likes me much, but the trip was fine,” she answered. They talked for hours, sitting in the living room around the fireplace. Her mother had made hot chocolate and apple spiced cake. Her mother always made the best cakes in the world. At least that was what Rachel always thought. She loved being home again and hated to think about leaving. She decided to go take a nice long, hot bubble bath before going to bed. She needed it after all the stress she had been under lately. She planned to get up bright and early to go riding on the ranch. It had been too long time since she’d had the chance. The next day Rachel got up and dressed in jeans and a t-shirt. She walked in to the stables to pick out her horse, and saw Kyle brushing one of them. “Yes. It’s been a while. I can’t wait. Would you like to go with me?” she asked, then blushed. The words came out of her mouth without thinking. “No. Go ahead. I’ll saddle up Ranger for me.” He walked over to the brown horse in the last stall and started getting the horse ready. Ten minutes later, they headed off across the land. Rachel loved the feel of the wind hitting her in the face as she galloped across the fields. Thoughts of her and Bobby racing their horses flooded her mind. She pulled up at a creek to let her horse have some water and a rest. Once dismounted, she looked back to see if Kyle was still there. He was coming up behind her at a slower pace. “You ride great,” he told her as he jumped off his horse. “Money isn’t everything though. You need family too.” He still wasn’t sure why she moved away, but he was starting to think she had reasons, and maybe he was wrong to misjudge her the way he did. He could tell that she loved her family. Why did she leave? He wanted to know, but didn’t want to come right out and ask. Rachel sighed. “I know, and I do miss my family. It was really hard on me after Bobby died. I stuck around for about a year afterwards, but then I had to get out of here. Now I don’t know what has been keeping me away. I wish more than ever that I lived here near my parents.” She looked away with a tear in her eye. She didn’t want to cry in front of him, and she didn’t want this complete stranger to know anything about her medical problems. “I’m sorry if I upset you. I didn’t mean to do that.” Kyle felt horrible. Rachel smiled as the thoughts of Bobby came back to her. “Yes, we were like best friends. We did everything together. It was really hard for me when he died. We had spent the whole day together that day at a baseball game in Nashville. That night Bobby wanted me to go to the store for him and get him some ice cream, but I was tired and said I didn’t want to. He left to go get it himself, and on his way home he was hit by a drunk driver. I can’t help but blame myself. If I had gone to the store, then maybe he would still be here with us. It’s my fault he’s dead.” Rachel couldn’t stop the tears from falling. They were coming down like rainfall. Rachel wiped the tears away and walked back to her horse. “You don’t understand. I can’t leave Aspen right now. I have to be there. I wish I could, but I can’t.” She walked over and got up on her horse, riding away without looking back. When she returned to the stables, she removed the saddle and brushed her horse down, thinking about how great it would be if she could move back to the ranch now. But no—she needed to hear from the doctors first. Rachel was snapped out of her thoughts by the sound of Kyle walking in with his horse. “I’m sorry I upset you. Sometimes I put my whole foot in my mouth,” he said as he walked the horse to the stall. “How about you let me take you out tomorrow night for dinner to make up for it?” Kyle had no idea where that came from. He was usually a little on the shy side with women. “Sounds good to me.” Kyle said. “I’ll see you then. “I have no idea, dear.” Sue answered. “I’m cooking dinner for Kyle while you’re gone. He asked me out and I told him I had to do the baking for you, but that I would cook him dinner. He said yes.” She seemed to be talking a mile a minute. “Yes, Mom. We won’t get serious. 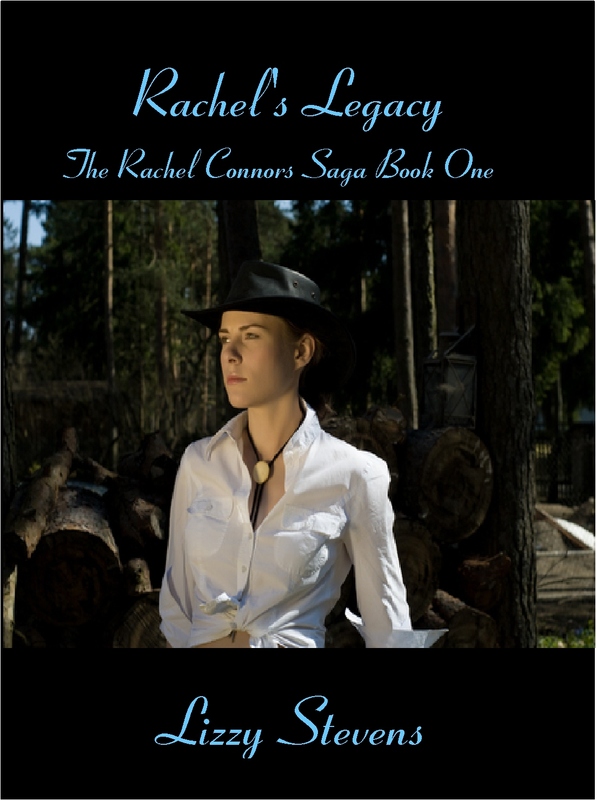 It’s just one date.” Rachel tried to make herself believe it more than her mother. She went over to the cabinet to get the dishes down to set the table. Then she went to get her father for dinner. After they all finished eating, Rachel went to take a long hot bubble bath. She filled the tub to the top, and then sank down in the steaming hot water. She felt so relaxed for a few minutes. She laid there in the tub, and before she realized what she was doing, her hand reached up and fell on her breast. She couldn’t help but touch it, but when she did the tears came flooding from her eyes. The doctors had found the lump in a routine exam. They told her that it may be nothing but they would have to run some blood tests and CT scans. If that didn’t give them the results that they wanted then she would have to have a biopsy. Rachel laid there in the bathtub crying until her water went cold on her. She didn’t know how long she had been in there but she knew she didn’t want to get out. After what seemed like hours, Rachel got out and dried off. She stood there looking at herself in the mirror for a few minutes. How could somebody as healthy as she had always been be sick now? It didn’t make sense, and it didn’t seem fair. Was she being punished for something? That was all that she ever thought to herself. She got dressed and crawled into bed. Maybe thinking about spending time with Kyle would help take her mind off other things. Rachel woke up to the smell of bacon cooking. She had truly missed being with her family. She usually grabbed something quick and easy for breakfast. It had been a while since she had a nice home cooked meal like the one she smelled downstairs. She threw her robe on and headed down the stairs. When she made it to the bottom, she saw Kyle sitting at the table. She turned around and ran back up the stairs as fast as she could. She couldn’t let him see her like that. She had to make herself beautiful. She ran over to the dresser and started combing her hair and putting some make-up on. She grabbed a red t- shirt and some blue jeans. When she finished getting dressed, she walked into the kitchen to find only her mother there. Her father and Kyle had already left to get started on the ranch work. “Didn’t I hear voices down here a few minutes ago?” Rachel asked as if she hadn’t seen Kyle sitting there. “Yes, you did. Your father and Kyle already went out to the back field to gather the cattle for tonight’s sale. They will be gone for most of the day. I’m sorry that you missed them,” her mother told her. “That sounds like a great idea, dear.” Sue was glad to see her daughter thinking of it more like home. She had wanted her to move back for many years now. Rachel spent the whole day in town going from store to store looking around. She went into the music store and spent hours in there. She remembered going there with Bobby many times. It had a new owner now, but everything looked the same. Rachel picked up a couple of CDs to buy. After she left the music store she went into a small general store. The first thing that grabbed her attention was a pink ribbon pin for sale for one dollar to help promote breast cancer awareness. It seemed like she noticed more things like that now then she ever had. Rachel walked past the pin without picking it up. She didn’t need any reminders telling her that she might have cancer. It was scary enough thinking about it on her own and knowing that she was going through it alone. Rachel couldn’t tell her parents they could lose the only child they had left. She spent the rest of the day in town and then headed back home. She wanted to say goodbye to her parents before they left for their three day trip. They had asked her if she wanted to go with them, but she didn’t want to leave the ranch. It had been too long since she had been back there. Rachel didn’t want to think about leaving. She only had six weeks before she had to go back home for her doctor visit. That’s when she would get the results to the CT scan and blood work. She didn’t understand why the doctors couldn’t get the results before the holidays, but they said the lab was overloaded with work and they were way behind. She didn’t like it, but she understood. “I’m making you a list of pies, cakes, and breads that I would like you to make for me while I’m gone. I’ll be delivering them to the church when I get back. They are making baskets for needy families.” Sue told her as she handed her the list. “We will. You have a good weekend too.” Sue hugged her daughter and then turned and went out to the truck. Rachel went back into the kitchen to try to figure out what she wanted to fix for dinner that night. She wanted it to be perfect for Kyle. She put some chicken breasts in the oven to cook. Then she peeled some potatoes to make mashed potatoes. She sliced one of her mom’s fresh loaves of bread and put some butter on the table. Rachel had everything almost finished when she heard Kyle pull in. She ran upstairs to spritz on her favorite perfume before he walked in. After double-checking her hair in the mirror, she hurried downstairs to the kitchen. 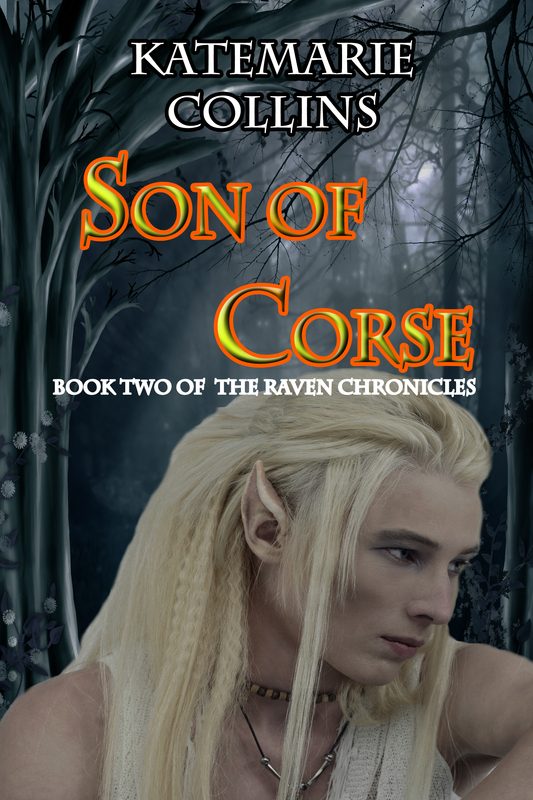 It’s been almost two years since Arwenna banished the Demon Corse from her world. Life has been good. Idyllic, almost. The illusion is shattered in a heartbeat during her sister’s wedding. Not only are once-dead enemies back, but they’ve stolen Arwenna’s only child, Sera. The price Arwenna will have to pay to save her daughter is high. Can she muster the strength to make a pact that jeopardizes not just her own soul, but that of an entire world? Hours later, Senyan woke up. The form Corse had chosen lay sleeping naked next to him. He could feel the magic to return him to the world above building. Those who were seeking his soul were close. The need to answer the call bordered unbearable. It would not be long now. He closed his eyes and drew in a deep breath as he gave into the request. Grasping onto the edge of the bed, Senyan gave his mind time to adjust to the return. It was not an easy thing to endure. Though he no longer possessed a heart or lungs, his body screamed with pain as the magic sustaining his life flared through his veins. “It took you long enough. There is much to be done. More than would have been necessary if you’d done the rite earlier.” Senyan’s voice cracked like a whip as he gave his orders. Within moments, two of the priests scurried off to do his bidding. For those of you familiar with astrology, it is known that the planet Saturn returns to the exact spot in the Universe where it was when you were born – in precisely 29.5 years. This “return” may become blatantly apparent in the late twenties to early thirties, as individuals are faced with the inevitable world of adulthood. This can be a time filled with chaos, change, and letting go of old beliefs and ways. As it was with me. At exactly the age of 29.5 I began to write down ideas for the novel that would eventually be known as LUCIDITY. I would spend the summer before I turned 30 finishing the first draft. Now, whether or not I was dealing with my Saturn Return may be up for debate, but I think there was something rather cosmic about the process. Our Saturn Return allows us to clean out our closets and start fresh. It gives us the opportunity to embrace the emotional and spiritual turmoil we may have suppressed for 29.5 years and create something new. It is a chance to take what we’ve learned, process it, deny it, and then come to terms with the life that is ours…not anyone else’s. Through the process of writing my first novel, I learned a great deal about myself…what I wanted out of life, what I knew was best for myself and what pathway I wanted to take. That meant letting go of things that weren’t good for my soul. And through the fire of my Saturn Return, I found a colorful new world awaiting me…one that allowed me to escape through my favorite passion – writing. It took me about five years to perfect LUCIDITY before sending it in to prospective publishers, but the seed that it sprouted from began with the return of Saturn. And interestingly enough, my protagonist, Raya, in LUCIDITY, was also facing a Saturn Return (although I didn’t realize this at the time I was writing). Likewise, for those readers out there at, or soon approaching, the ages of 57-60, your second return of Saturn may allow for similar experiences as it becomes evident that no matter what age we are, we should never compromise being the sole authority in our life. It’s okay to take a chance. You never know…you may just find a hidden passion. 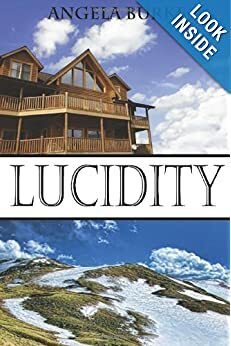 Lucidity is a story about the secrets of the unknown, the essence of the spirit and the endurance of love….will you believe? 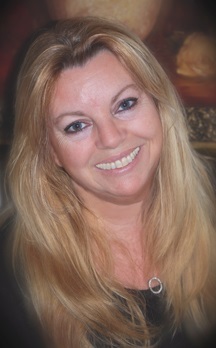 Angela Burke is the author of LUCIDITY and BENEATH the MAYAN MOON. She lives in Boulder, Colorado and enjoys running, skiing and taking long hikes in the mountains. A former teacher, she now spends her time building her massage therapy practice, while chasing after her three great kids and daydreaming up new story ideas. Check out LUCIDITY, and the Three Days Free sale, August 7, 8 and 9, on Amazon! Angela can be found at www.angelaburkebook.com, and on Facebook, Twitter, and the Solstice Publishing website. Forgiveness: There are those who seek it, those who try to accomplish it, and those who would rather die than consider it. When DANNI MONTGOMERY – a survivor of a rebel raid on an African village fifteen years earlier – had been rescued from the grips of OBASANJI, the rebel leader of that army, she’d thought she’d lost her soul forever. Now, a new fear lurks within the confines of her world. Danni receives a cryptic letter written by her uncle ROLAND DUPRE, her only living relative, who has mysteriously disappeared somewhere deep within the African Congo. The letter speaks of a fantastic discovery, one that will change the fate of the troubled United States from China’s imminent attack. A rare earth element known as Promethium, the missing element needed for the completion of Viper 6, an unprecedented stealth missile that will shift the position of world leader back to the United States. Author Dee Ann Waite stopped by to visit with her new release book! A little about me: I can tell you what I like to do: spending time with my daughter and grandkids tops the list. I love photography and spend many hours in the Everglades snapping wildlife and scenery. I have a pet photography business, and get some of my greatest joy from animals and the flowers in my garden. My interests are eclectic from baby-anythings (who doesn’t love a baby something – puppy, kitty, baby-baby, elephant, etc) to political issues. 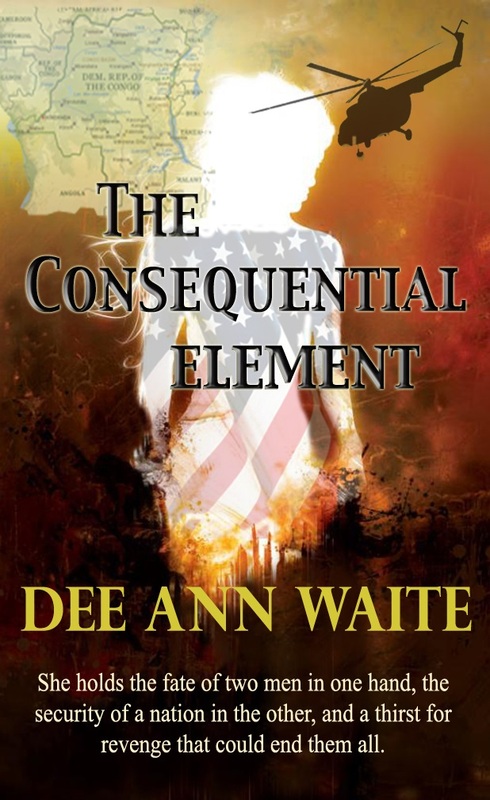 In fact, one issue in particular is the cause of my book The Consequential Element. I love wine and chocolate (big surprise there, huh? ), and I love tea kettles. I’ll whisper this because I don’t want to offend anyone, but another interest of mine is guns. I like them. I used to be a private investigator and had to carry, therefore I had to know how to shoot. Spending time at the firing range became my way of relaxing – my meditation, if you will. I’ve been writing for many years, but only over the past two years have I decided to work toward publishing something. Why did I begin writing? To remove the darkness from my soul. I’m not trying to sound poetic; it’s just the way it was back then. I’ve always thought of myself as a writer; I’m just now beginning to see myself as an author. Can you tell us a little about The Consequential Element? The Consequential Element is the story of a young woman by the name of Danielle Montgomery who must make a decision. Settle the rage and hatred that encase her heart by exacting the revenge she’s dreamed of for the past fifteen years, or forgive that which has caused her pain and agony, and robbed her of a normal life. Her uncle disappears deep within the Congo jungle – a place she knows all too well – after a remarkable discovery. She must return to save him, but in doing so she will come face to face with the demon of her dreams. Obasanji; the rebel soldier who murdered her mother and stole Danielle’s soul so many years ago. The handsome Kayden Moreau, a former Special Ops soldier turned mercenary, has been hired to protect her. Only Danielle doesn’t want his protection and fights him every step of the way. Will Danielle learn the secret to free her heart from its black tomb and discover love and happiness, or has her years of hatred doomed her soul forever? I was inspired to write this story after coming across an article about China and rare earth elements. Did you know that China holds 97% of the market on REEs? And that they supply the U.S. with our requirements? Or that they have been slowly decreasing the amounts of REEs that they import to the U.S., thus decreasing our military’s capabilities to operate at 100% efficiency? Many people are not aware. 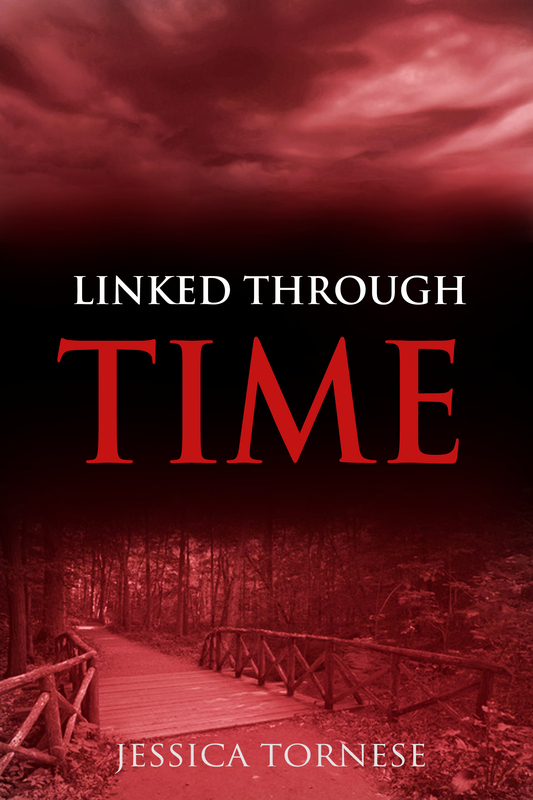 I decided to write a book around this issue to bring it to light, but placed this non-fiction in the center of a fast, action-packed, thriller of fiction. The overall response thus far from my readers has been that many of them have gone on to research the issue and have become more the wiser for it. What can we do about it? Know about it. Be aware. Have you been compared to, or been told that you have a specific writing style? Not sure about a specific writing style. I’ve been compared to Michael Crichton and Ernest Hemingway (go figure). Why did you choose the title The Consequential Element? the book. I plan on holding a contest for a 100.00 gift card in the future for someone who can tell me what that hidden element is. The cover is beautiful. Who designed it for you? 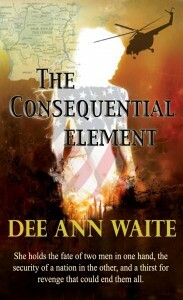 I designed the book cover for The Consequential Element. I used to be a graphic designer and know my way around Photoshop pretty well. Are some of the experiences in the book based on people you know? 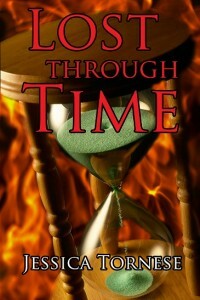 Yes, some of the experiences in this book are based on people I know, events, and my life. Danielle’s inner struggles are similar to my own. We both had to learn a vital lesson of life, and we’ve both had to learn to remove our armor from life in order to let people in. What authors do you find have influenced you and your writing? I have been influenced by many authors. 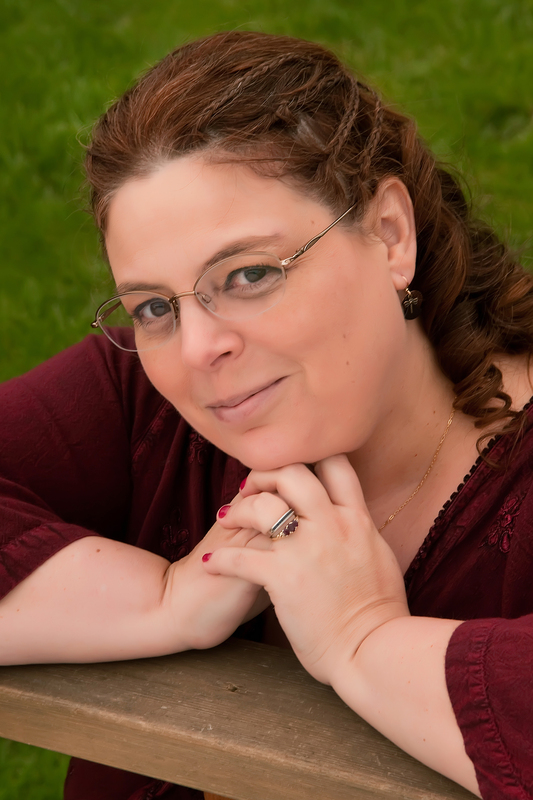 Authors of children’s books, horror, thrillers, adventures, and everything in between. Some that stand out most in impacting my life are Edgar Allen Poe, Stephen King, Michael Crichton, Ernest Hemingway, Lisa Gardner, Patricia Cornwell, Charles Dickens, and Ray Bradbury. If I had to choose a writer to be my mentor I would choose Stephen King. It isn’t because of his genre, it’s because, in my opinion, he has such a great grasp on making me see and feel his stories. His characters live in my mind long after I read one of his books. His stories appear real no matter how farfetched they are. I want to be able to make my readers feel the same way. Do you have any advice for fellow authors? My only advice for other writers is not to give up on your dreams. If your dream is to write, do it. But if you’re going to do it, do it to the best of your ability. Learn the craft and become a professional. Don’t put anything out there in the world with your brand on it unless it reflects you in the best possible light. If you choose to indie publish, treat it like you would through a traditional process. Have your work copyedited, proofread, and fine-tuned to the best it can be. Be an author, not just a writer. Only then will your dream come true. You can purchase the book at Amazon (amzn.to/17qT2an), my website at www.deeannwaite.com; my blog at http://deeannwaite.blogspot.com; on Goodreads at http://www.goodreads.com or on Pinterest at www.pinterest.com/deeannwaite. Dee Ann Waite was born in Fall River, Massachusetts and grew up in a small town named Somerset; a town she relates to Stephen King’s Derry, Maine. 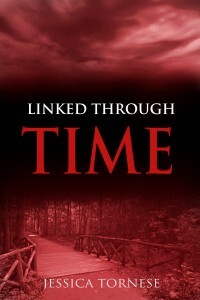 A town where the people are pleasant, the landscape well maintained, and dark secrets are kept. She currently resides along the central east coast of Florida. She released her debut novel THE CONSEQUENTIAL ELEMENT in June, and is slotted to release her second novel MISTS OF BAYOU RHYNE in November, 2013. When she’s not writing, she enjoys spending time with her daughter and grandchildren, horseback riding, and nature. She owns a pet photography business and branches out her love for photography by visiting the Everglades and swamps in search of alligators and exotic birds. When at home, she cherishes a chilled glass of wine while sitting in her garden with her dog Dodger.